This part of my Australian adventure actually began, like so many of my adventures do, in a bar. My journal entry for the 22nd of October 2014 is ” I am sitting in the departure lounge awaiting flight QF36 bound for Melbourne. The last time I took a Qantas flight was about 12 years ago and I loved it. The flight attendant kept coming around and asking me if I wanted more to drink!! As I mentioned in my previous posts, I had no access to the internet after leaving Singapore so I did not ever get a reply to the email I sent from Changi Airport but as luck would have it, the coach trip that I took from Ayer’s Rock to Alice Springs on the 28th of October 2014, stopped at Curtin Springs Station. 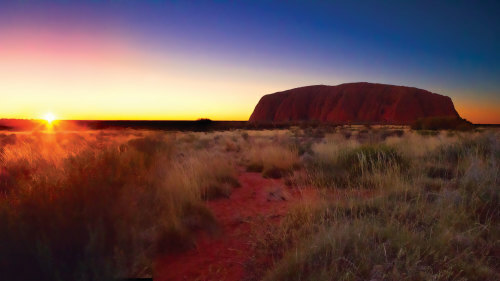 28 October 2014 – In order to watch the sunrise at Uluru, I was awake at 4 AM to catch the tour and I had bought a breakfast box at the hotel to bring along. While watching ‘the Rock’ materialize out of the pre-dawn twilight, I ate the small croissant, the top of the blueberry muffin, and the fruit cocktail. I saved the granola bar and juice box for later. Once the sun had risen, we were taken around Uluru in a coach. We walked to the waterhole where our guide told us some of the origin stories. Tjukurpa is the time when the Ancestors created the land and created laws for how people should behave in relation to each other, and in relation to animals, plants, and the land itself. 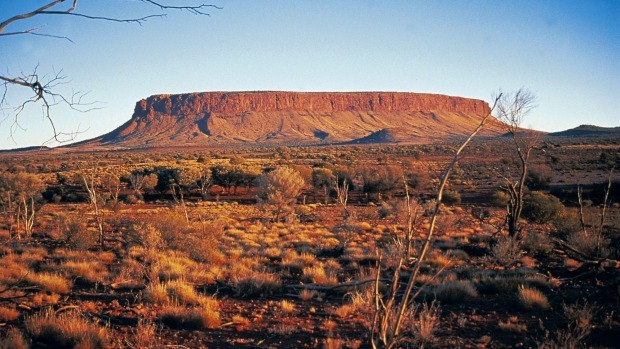 Uluru is significant because several Ancestors visited it and some still live there. After our walk around Uluru, we were returned to our hotels. 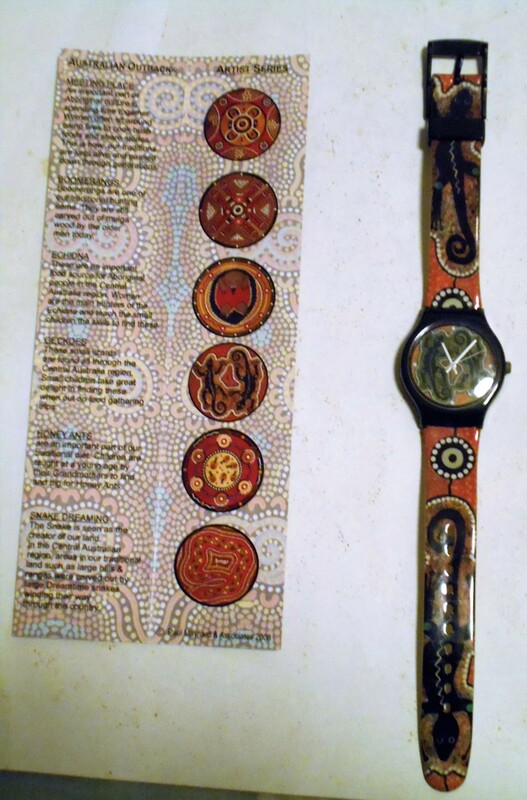 I got off at the mall and bought a watch that was decorated with the artwork of Julie Unguna Paige. I chose ‘Geckoes’ because I am rather fond of these small lizards. I headed back to the hotel and tried to get on-line but was again unsuccessful. Clearly, this trip was about trusting; I had trusted that someone was picking me up at Melbourne airport as I had not seen Bec’s email to me, and I trusted that I would find a place to stay and transportation in Ayer’s Rock. I had no way to confirm my accommodation or activities in Alice Springs, so I had to just trust that everything would work out again. I had lunch at the Walpa Lobby Bar in the Sails and then caught the coach to a town called Alice.